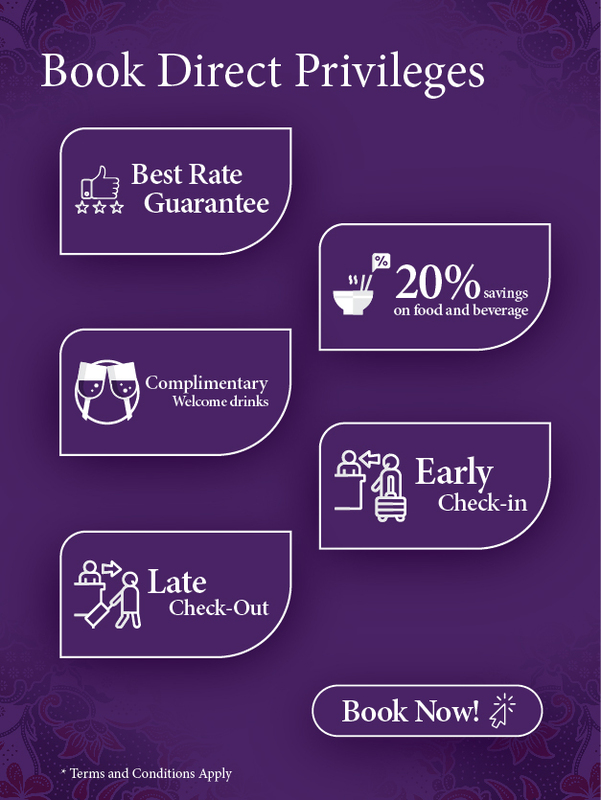 Welcome and 'Experience the richness of Nyonya culture' in our Peranakan home-style luxury hotel. 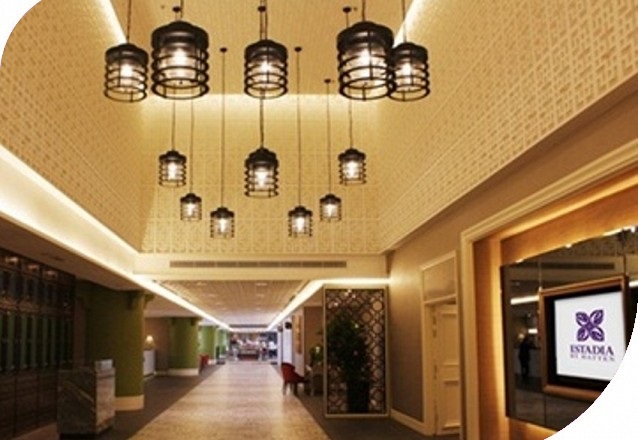 Revel in the magnificent splendour of the culturally rich Melaka heritage city in our uniquely themed hotel where sophistication meets tradition. Whether you're going on a travel adventure, family holiday or business trip, Estadia Hotel is the ideal accommodation for you. Why Book Estadia Hotel ? Instant 10% off 'Best Available Rates' with the code "HHWE". 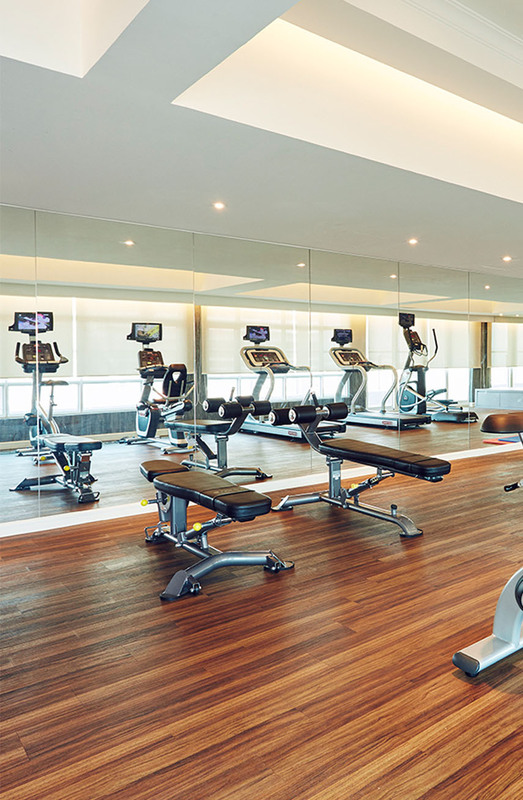 Enjoy 20% off for Food & Beverage at Estadia Hotel, Hatten Hotel, and Hatten Place. 2pm late check-out for stays on Sundays to Thursdays. Free shuttle services around Melaka Town. Code "HHWE" can be used across Hatten Hotels Worldwide properties. 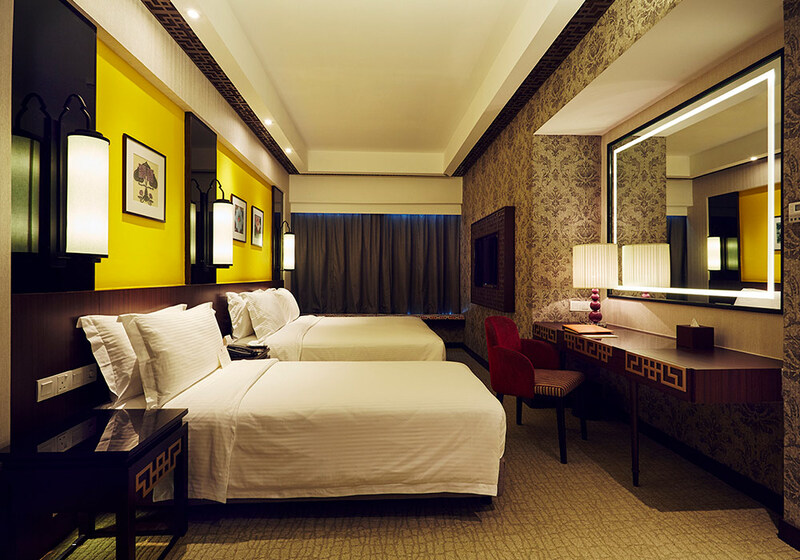 Have a contemporary feel and highlight of the Peranakan culture in a modern setting that features a city view with a room size of 22sqm, twin bed and complimentary Wi-Fi. Enjoy a uniquely-designed boutique space that features a city view with a room size of 53sqm. This suite has a connecting door, 2 bedroom and 2 bathrooms with complimentary Wi-Fi. Adore the magnificent city view in this two-bedroom suite with iconic patterns and geometric shapes embedded in the furnishing that brings a modern Nyonya feel. 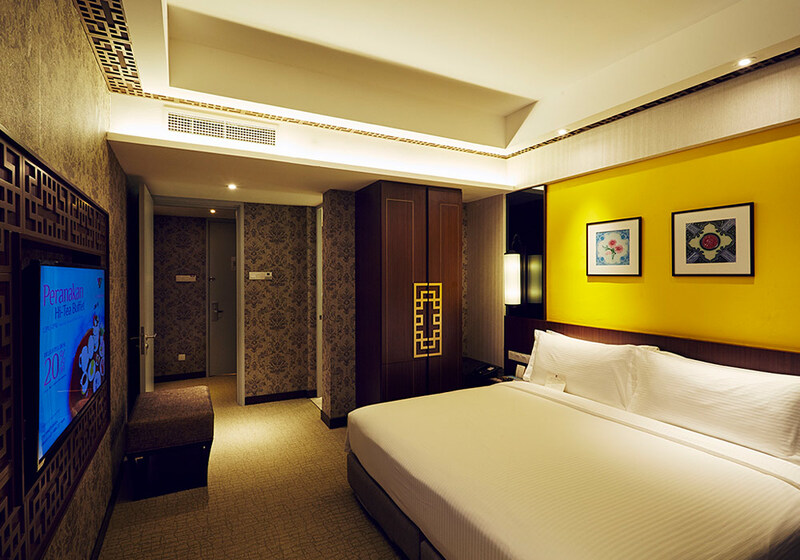 This suite has a room size of 54sqm that includes a connecting door and complimentary Wi-Fi. Featuring a partial city and sea view, this gorgeous suite has a classic Peranakan motif woven into traditional room dividers and screens. Consisting a room size of 62sqm, it has a separate living area, 2 bedrooms, and 2 bathrooms with complimentary Wi-Fi. 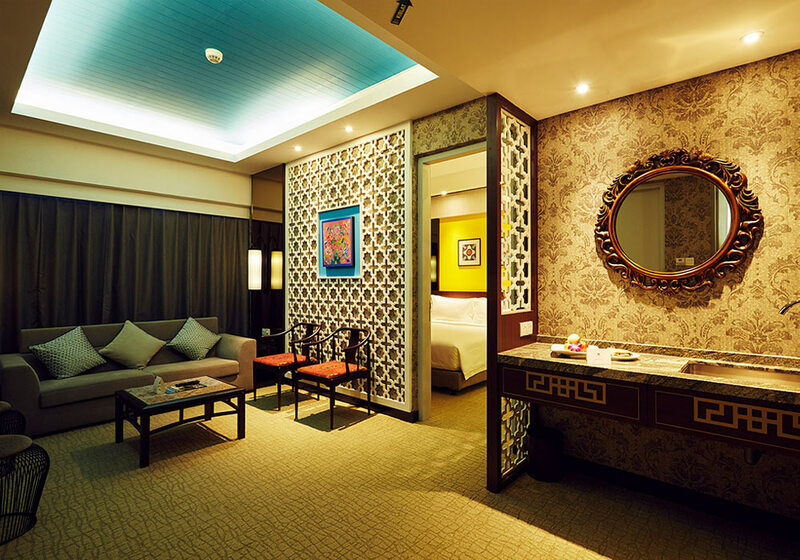 Soak in the traditional Peranakan interiors that features a partial city or sea view with a comfortable room size of 66sqm. 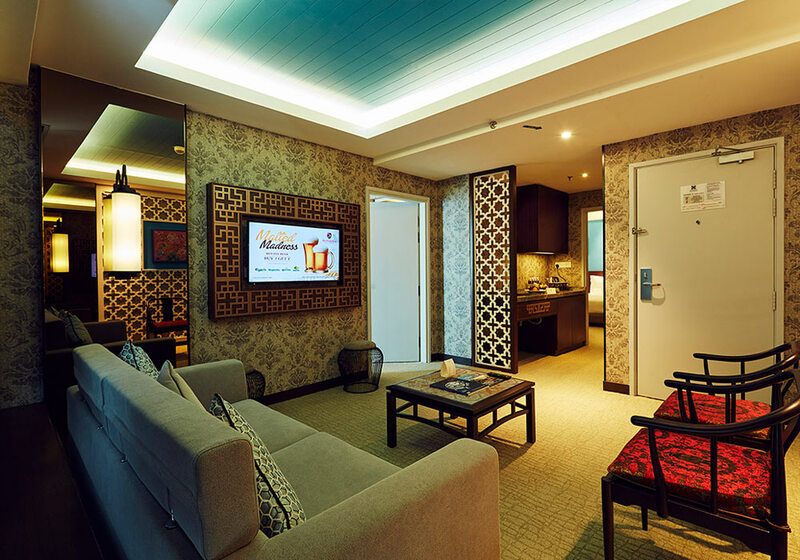 This suite comes with a separate living area, 2 bedrooms, and 2 bathrooms with complimentary Wi-Fi.